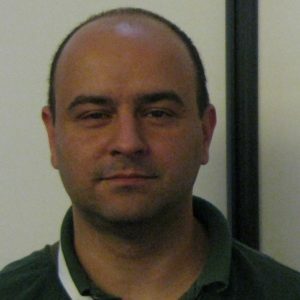 Paulo Fernandes is currently an Associated Researcher (MPA) of the NOA research group at INL. His research work is focus on two main areas: the study of new semiconductors for energy harvesting and detection applications in micro- and nano-devices and, the research in passivation techniques and new architectures for thin film photovoltaic devices. He is an expert in general characterization techniques, such as, XRD, SEM/EDS and Raman scattering. He has also advanced knowledge in optical analysis such as photo-spectroscopy techniques, and electrical characterization such as, Capacitance-Voltage and admittance spectroscopy. Professor Paulo is also a researcher at the I3N Associated Lab, Institute for nanostructures, nanomodelling and Nanofabrication in the department of Physics at the University of Aveiro, and at CIETI research group School of Engineering – Polytechnic Institute of Porto. At the educational level, he is an Adjunct Professor of the Department of Physics, School of Engineering – Polytechnic Institute of Porto. He obtained the Degree in Physics specialization Optics and Electronics, Faculty of Science University of Porto, the Master degree in Electrical and Computer Engineering, specialization Telecommunications, Faculty of Engineering University of Porto and the PhD in Physics – Department of Physics, University of Aveiro. IEEE JOURNAL OF PHOTOVOLTAICS, Volume: 8, Issue: 5, 2018, 1313 – 1319.